For many military members, it was an announcement that would forever change their lives. Standing at the podium in the White House pressroom on Oct. 20, President Barack Obama said that after nine years of war, all U.S. troops in Iraq would be removed by the end of the year. While a percentage of the nearly 40,000 troops will be re-deployed to serve in areas such the Persian Gulf and Afghanistan, others will be returning stateside, looking for jobs and returning to school, using the Post-9/11 Montgomery GI Bill. 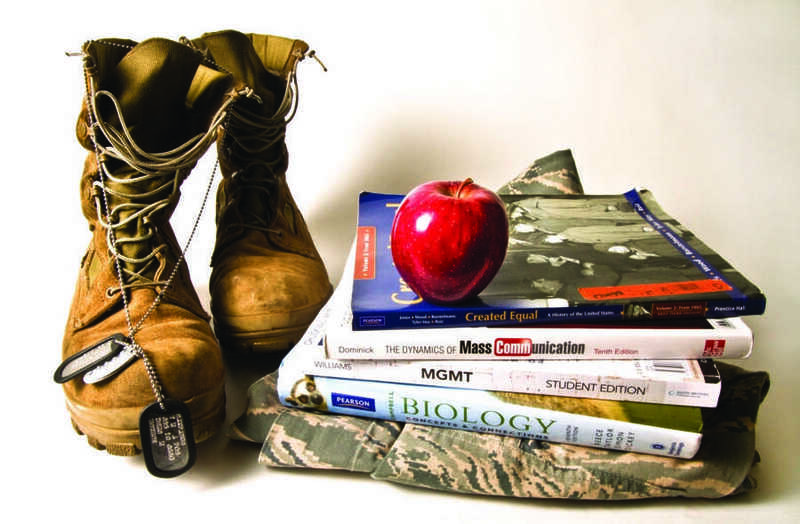 American River College has more than 35,000 students and according to Robin Neal, dean of enrollment services, there are 849 veteran students using the GI Bill this semester at ARC—a number that is likely to surge in the spring semester of 2012. As Veteran’s Day approaches on Nov. 11, ARC administrators said they have been working diligently to ensure that current and future veteran students on campus have adequate information and tools to allow for proper integration back into non-military life. Administrators from ARC plan to attend the California Community Colleges Veterans Summit in San Diego on Dec. 2 to help better understand the needs of the veterans. In addition, California Department of Veteran Affairs recently agreed to sign a memorandum with California Community Colleges to make the enrollment process easier for veterans. Despite efforts from the administration to help veterans acclimate to their new lives, four veterans who are currently enrolled at ARC said they believe the college could do a better job of consolidating services in one area on campus and streamlining paperwork. However, they declined to criticize the administration on the record. Currently, veteran-students have to use a multitude of services located in different buildings on campus. First, they must enroll for benefits at the Veteran Services counter in the administration building to complete financial aid procedures. Then they need to go see an academic counselor in the counseling building to complete an education plan in order to submit the information to Veteran’s Affairs. Veterans who have been diagnosed with post-traumatic stress disorder and others with physical combat injuries need to use facilities within the Disabled Students Programs and Services center in the student services building. According to veterans, navigating numerous locations on campus can be frustrating and complicated—but the introduction of the Re-Entry and Veterans Information Center in the student services building has been helpful. The center gives veterans access to public-use computers to complete needed VA information. Also, having fellow veterans on staff in the center has given fellow vets a place where they can go to talk to someone who has been dealing with the same situations that they are. 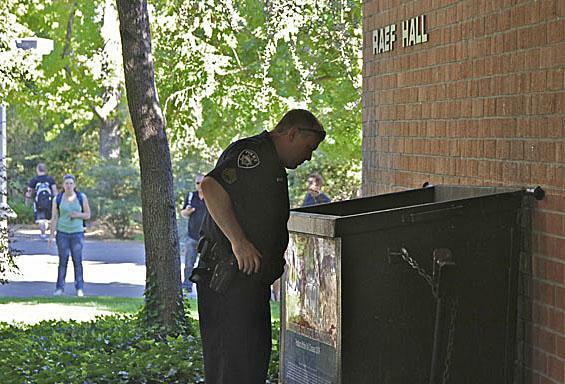 ARC officials have indicated that having numerous areas around campus with selective information for veterans is needed because there is no allocated space to house a one-stop shop type of Veteran Resource Center like those at Butte or Sacramento City colleges. “We have multiple areas of different things that hit and cater to different aspects of the vet experience,” ARC Dean of Enrollment Services Manuel Perez said. Vice President of Student Services Pam Walker also said that the administration is comfortable with having the numerous “portals” for students to use rather than one all-inclusive area. “We are trying to open various portals so that if a vet student needed something, we should know enough to help that student,” she said. The administration and the Association of Student Veterans Club worked together in a focus group on Oct. 13 to improve communication between the two organizations. They explored the needs of veterans on campus in the context of what the college is able to provide. Representatives on both sides said the meeting was productive. Part of the discussion had to do with privacy issues. Many vets said they would like a more private and office-like setting at the enrollment desk for privacy and to accommodate vets with physical injuries and to alleviate added stress from PTSD. In addition, Vet Club President Candice Hatch and Records and Admissions Supervisor Benjamin Baird are working on paperwork to submit to the VA to see if ARC can be allocated a work-study student assistant. Administration is also waiting on word if ARC will be given funds from the Veterans Upward Bound federal grant, which would allow for money to find allocated space and use those work-study assistants in the enrollment service and re-entry centers to better educate and assist the ever-growing veteran student population at ARC. Hatch is also optimistic of the future for veterans on campus. “The more faculty supporting vets, the more capability there is to take on something greater for the veteran population,” Hatch said. Be the first to comment on "Operation Education: Veterans return to ARC"